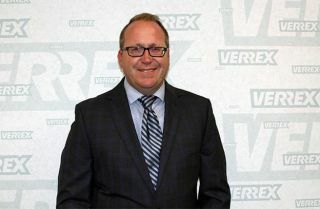 Verrex has named Chad Pierce account manager. Pierce, who will be based in Boston, will deliver Verrex’s portfolio of AV system design, design/build, and managed services solutions to companies in the region, including Boston’s biotech and fintech markets, in addition to the established finance & banking and higher education sectors. He joins a three-continent sales team led by Verrex vice president of global sales, Bill Chamberlin, CTS. Pierce brings 20 years of senior-level sales experience within the Pro-AV market, including audio visual, digital media, unified communications, and broadcast systems integration and managed services solutions. Career highlights include director of advanced digital environments at High Output Inc; senior account executive for New England at HB Communications; senior account executive for West Coast sales at Diversified Systems; and senior account executive for North/Central CA at R.E. Snader and Associates. Pierce is based at Verrex’s Boston office, part of the company’s global workplaces that also include New York, Houston, Los Angeles, London, Hong Kong, and Shanghai. He can be reached at cpierce@verrex.com.